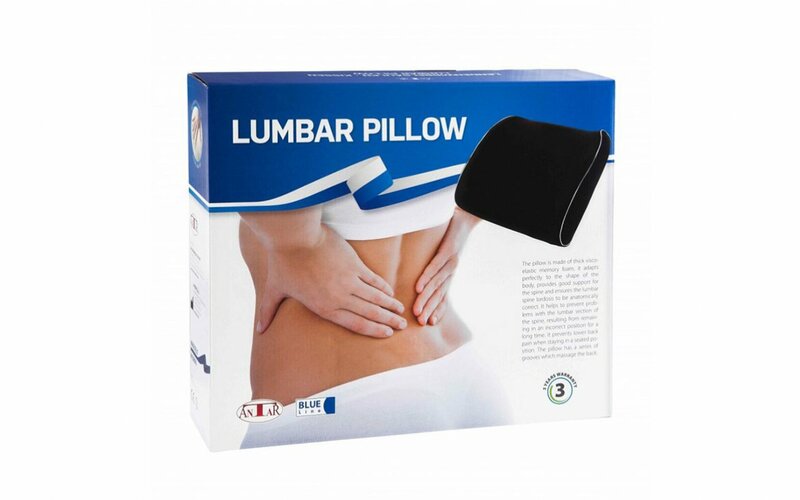 AT03004 Lumbar pillow The pillow made of thick viscoelastic memory foam adapts perfectly to the shape of the body, provides good support for the spine, and ensures the lumbar spine lordosis to be anatomically correct. It helps prevent problems with the lumbar section of the spine, resulting from remaining in an incorrect position for a long time. 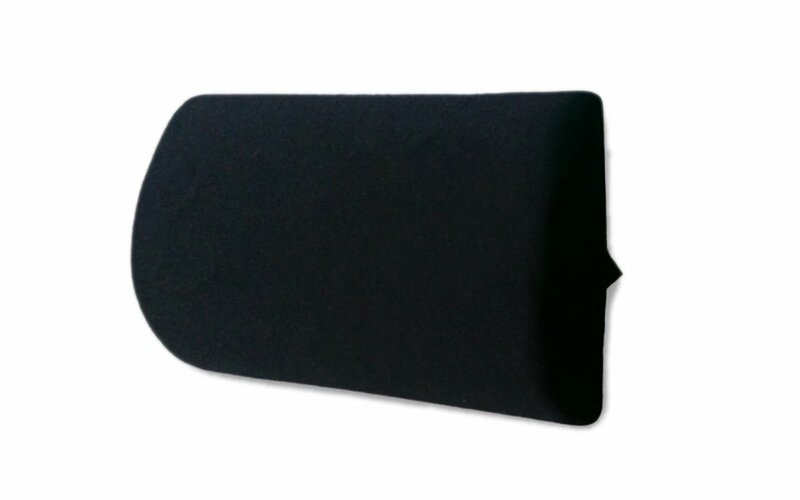 It prevents lower back pain when staying in a seated position. Dimensions: • width 33cm, •height 22 cm, •thickness 7 cm.